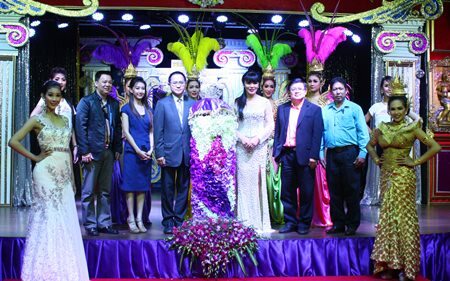 Pattaya will be getting its third transvestite beauty pageant after the Mimosa in Jomtien Beach announced its contest Nov. 14-17. 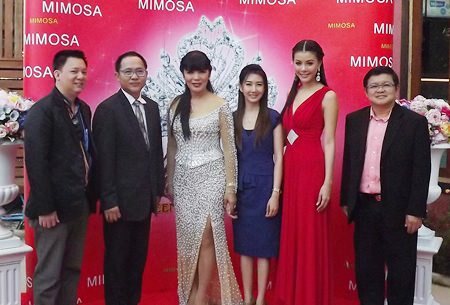 Flanked by top city and tourism officials, Mimosa Managing Director Jirachot Kawsathian announced the Miss Mimosa Queen Thailand at a press conference at the Sukhumvit Road mall Oct. 9. Deputy Mayor Verawat Khakhay, along with Auttaphol Wannakij, director of the TAT Pattaya Office and Jirachot Kawsathian, Mimosa Director announce the upcoming contest. Mimosa is looking for Thai transvestites and transsexuals new to beauty pageants, banning winners or second-place finishers in the established Miss Tiffany and Alcazar Beauties pageants from participating. Contestants must be Thai men 18-30 years of age, unsigned to any modeling or sponsorship contract, drug-free and good English speakers. The winner of the pageant will take home 200,000 baht in cash and prizes, Jirachot said. 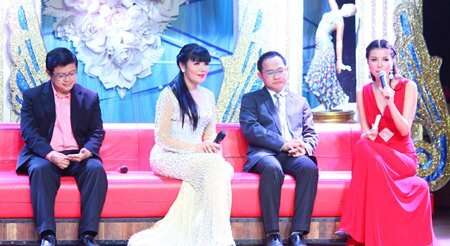 He said the motivation to form yet another transgender pageant came from a seemingly insatiable appetite for ladyboys in Pattaya’s tourist market. For more information, see Mimosa’s Facebook page at Facebook.com/mimosapattaya.